So you’ve done your due diligence in creating a warm audience on social media and now it’s time to start driving traffic to your website for a specific purpose—generate leads. 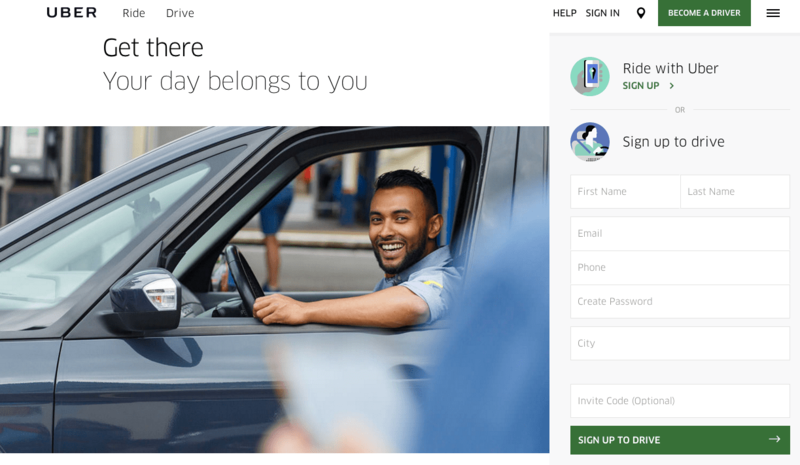 But, as you being to drive traffic you start to notice that you’re not converting your visitors into the leads—they’re coming and going leaving you confused and frustrated. Because there are usually several different choices that the visitor can make on your website, it’s easy for them to be distracted. Between looking at your blog, to browsing your about page, to maybe even viewing the FAQ page visitors can easily be forgetful on why they were there in the first place. And, that is exactly why you should use a landing page. What’s a landing page and how is it different from your website? The job of a landing page is to offer value to the consumer. It does this through offering something like an e-book, promotion, or coupon, in exchange for some sort of information, like an e-mail or phone number. What makes landing pages so valuable is that they use specific call-to-actions (CTA’s) in a purposeful way that takes the user to the next stage of the decision making process. 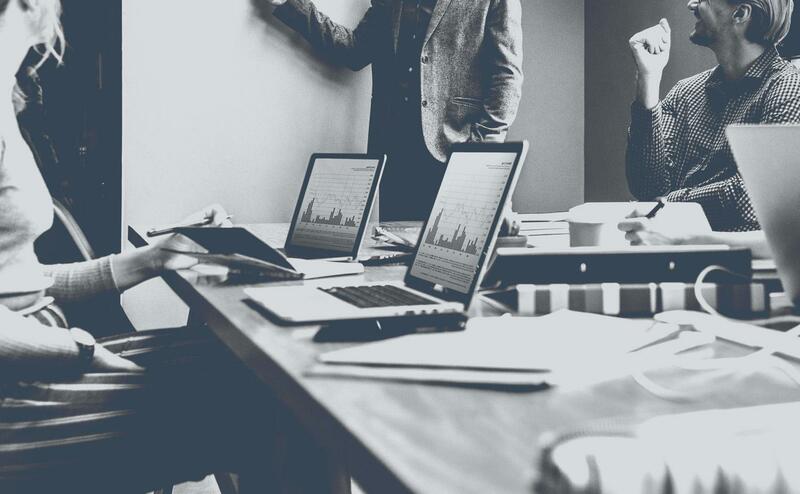 If you’re not familiar with the buyers journey or inbound bound marketing be sure to check out our blog, Why Inbound Marketing Works. Like an ad, you want to make your landing page exciting. Bright colors and interesting imagery that captures the viewer’s eye are equally as important as the landing page itself. You might only have one opportunity to leave an impression on the viewer, so you need to take advantage that opportunity. Don’t forget, key colors like blue are scientifically proven to appeal to the decision making part of the brain. Don’t include any outbound links. 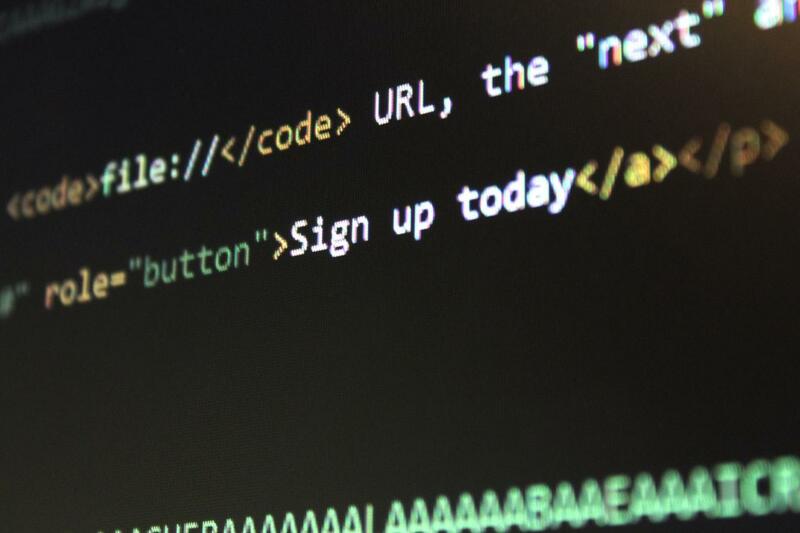 If the objective is to direct users, placing other links on the page will distract the user from the main point of the landing page—securing them as a lead. The number’s aren’t even close – mobile is taking over. And it’s no longer ok to ignore your mobile presence. Making sure your landing page is optimized for smart devices will only increase your odds of converting those leads. So what does a good landing page actually look like? Let’s take a look at what separates the good ones from the not so good. 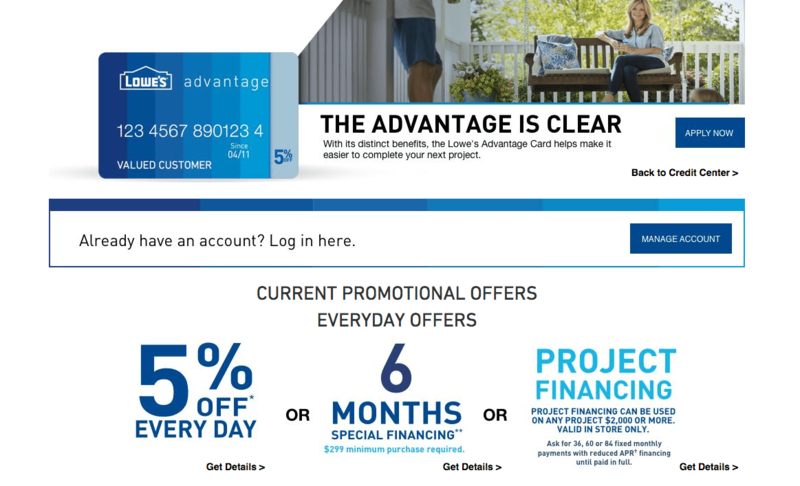 Welcome to the landing page for the Lowe’s Advantage Card. Can you tell where to sign up? If not, it’s probably because the apply now button is the smallest link on the page. Notice the disconnect? 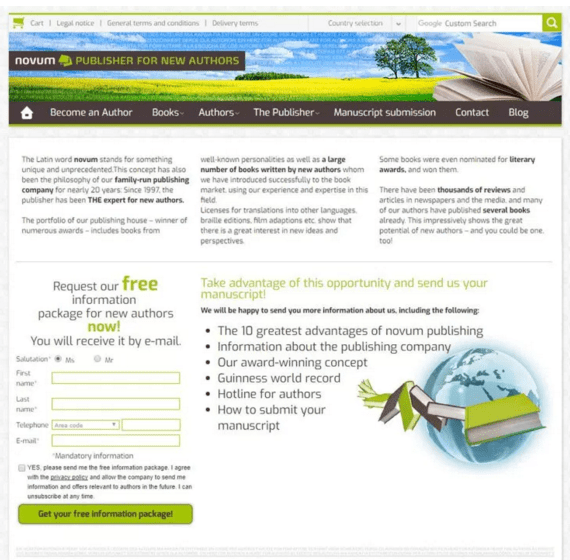 Novuum Publishing’s site also offers another example of what a poor landing page looks like. Upon arrival you’re met with a wall of text, hard to read green font and a boring white backdrop. Notice the CTA? It’s off to the bottom right of the page, instead of being the featured section like it should be. This is a great example. First, it provides a clean layout with a simple color scheme. Second, the objective of the page is clear as it provides only two options for the reader. Ride or Drive. In fact, the entire is dedicated to these two things almost exclusively. The main call to action on the page also provides a form for the user to directly enter information. This page is direct and engages the viewer immediately upon reaching their website. 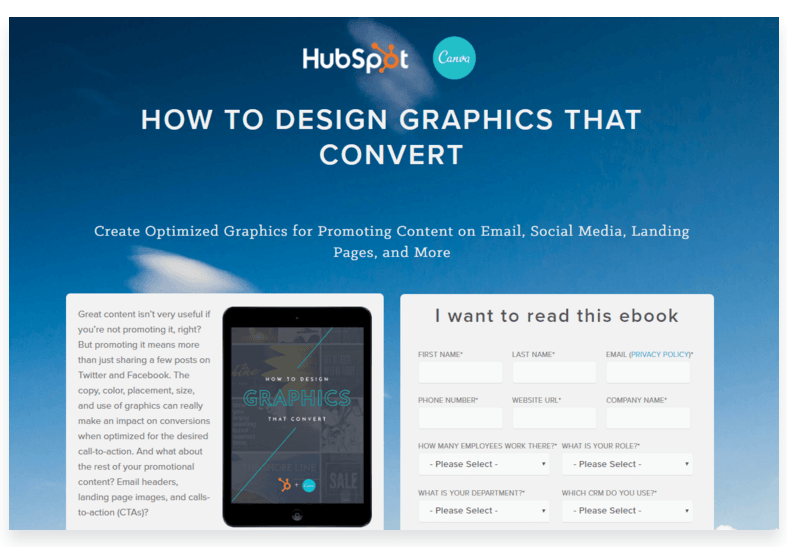 This Hubspot/Canva landing page takes things one step further. You’ll notice this page has only one objective – getting it’s visitors to sign up for its ebook. The page is bright and again, clean and simple. A short description of the book itself and a call to action are the main focus of the page. Also note how there are absolutely no external links. Hopefully seeing what works and what doesn’t can helping you in creating your own landing page. They’re important things to have in any website. And if you are using any type of CTA, it pays to have a landing page that works. A well put together landing page may be the difference between attracting or not attracting customers.